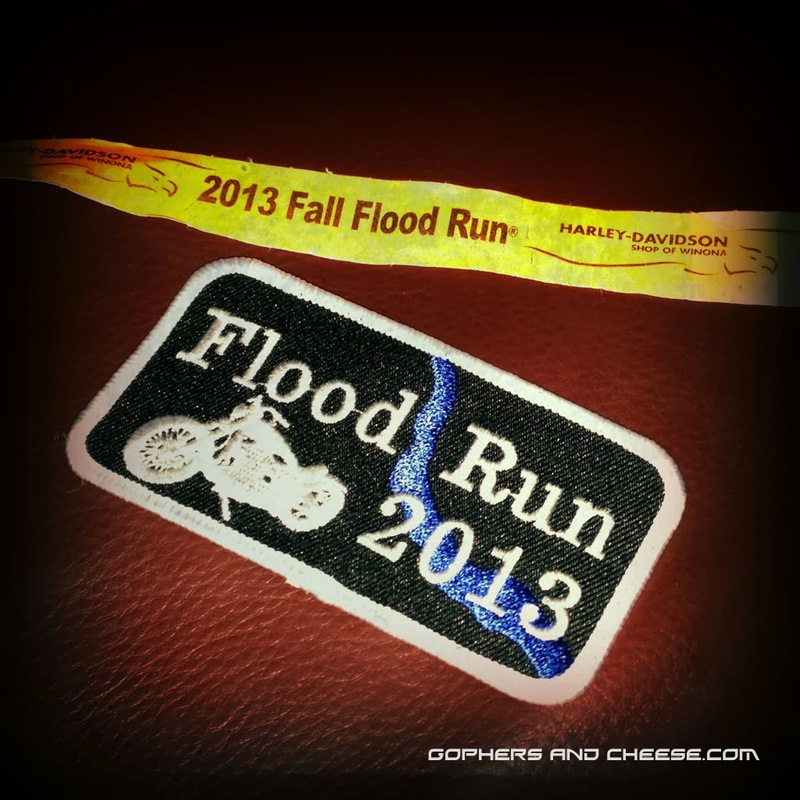 Once I reached Fountain City, I felt like I was back on the Flood Run. After only a brief ride on WI-35N, I took another excursion. 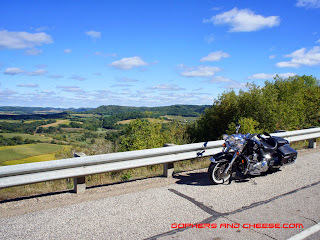 I like County Road O near Red Wing so much that I decided to check out County Road O (a totally different road) near Cochrane, WI. 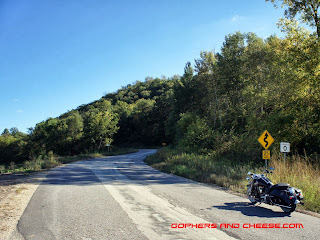 It's yet another fun curvy road. 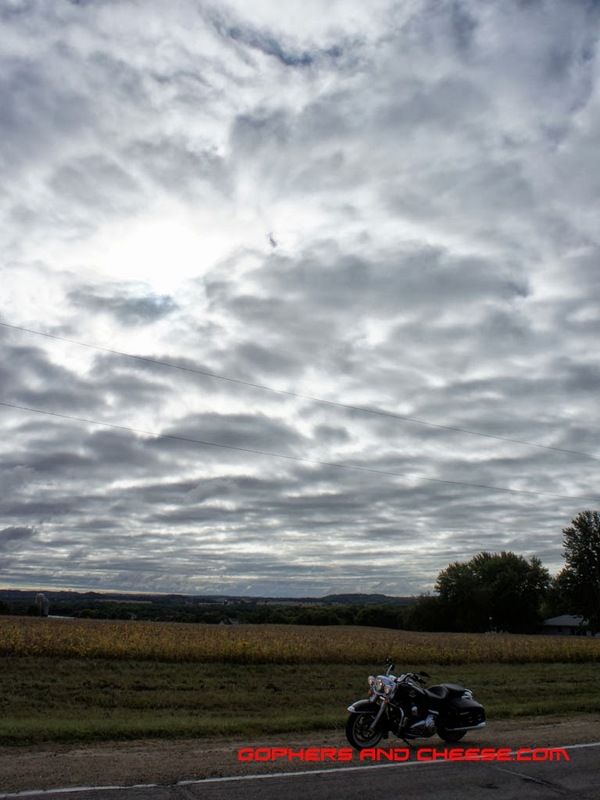 These shots were taken where it meets WI-88. 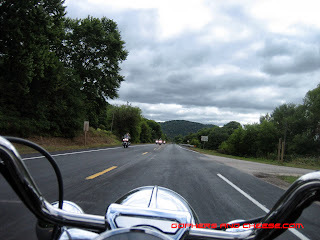 I rejoined WI-35N and followed it all the way back to Prescott. The ride back was really nice now that the sun was out and the sky was clear. 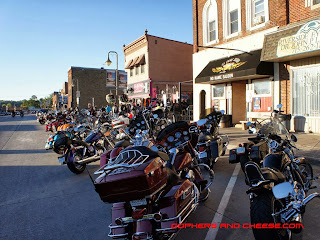 Once in Prescott, the No Name Saloon was packed. 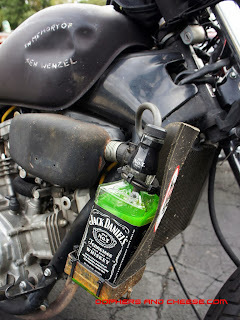 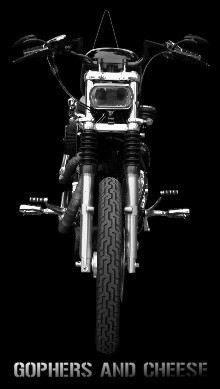 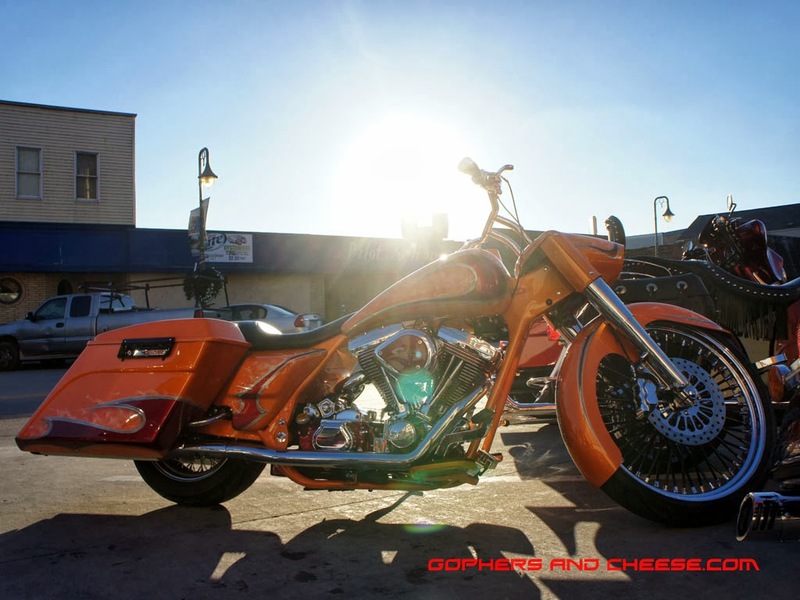 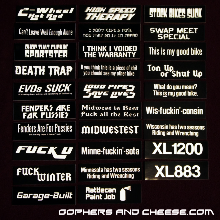 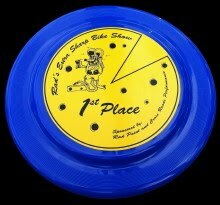 I think this is Donnie Smith's bike. 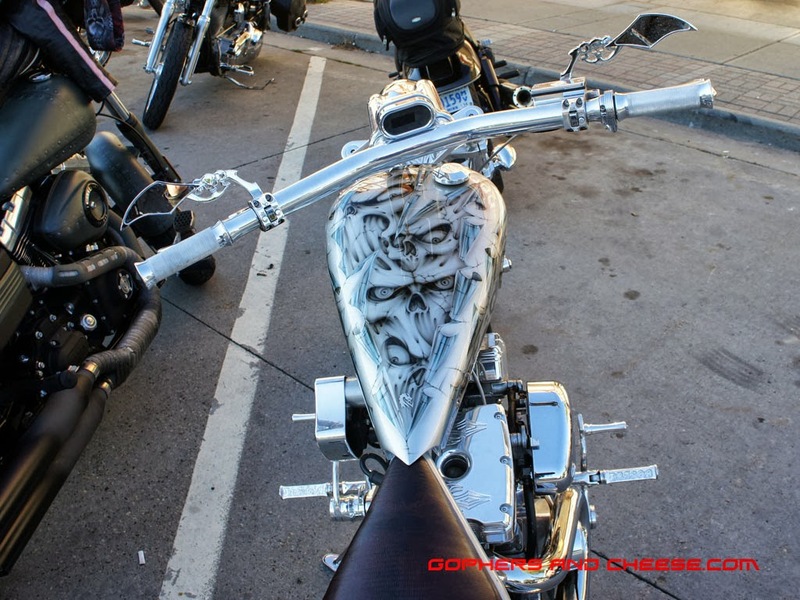 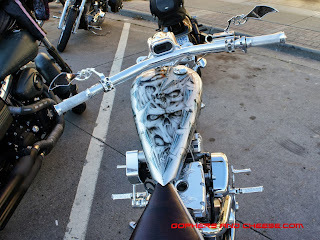 I tend to prefer more classic paint but these skulls were well done. 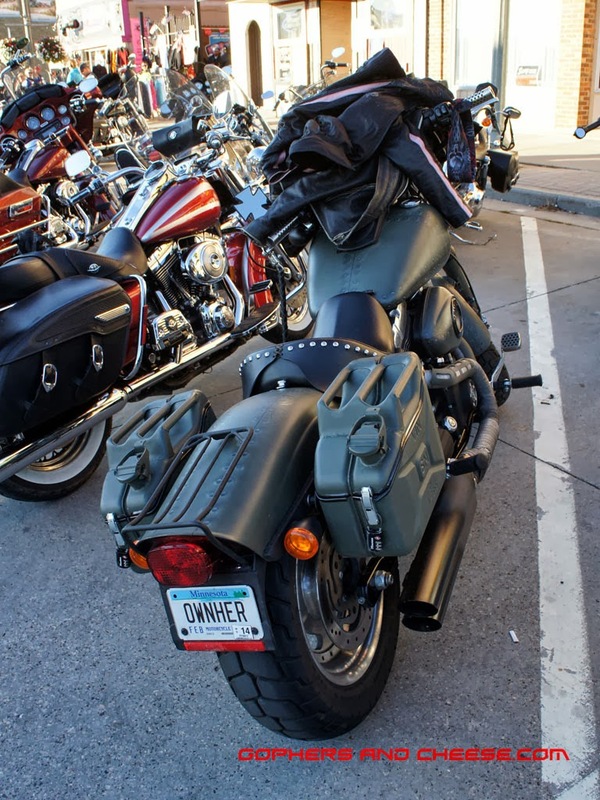 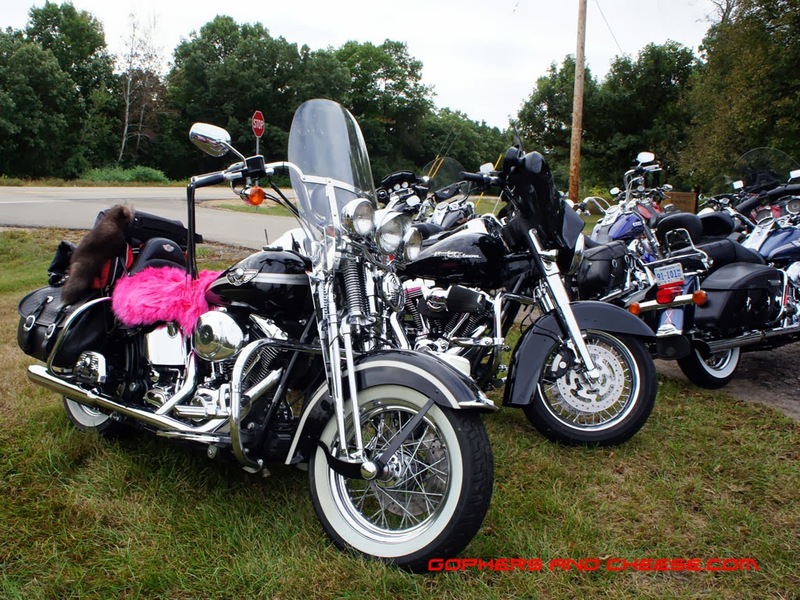 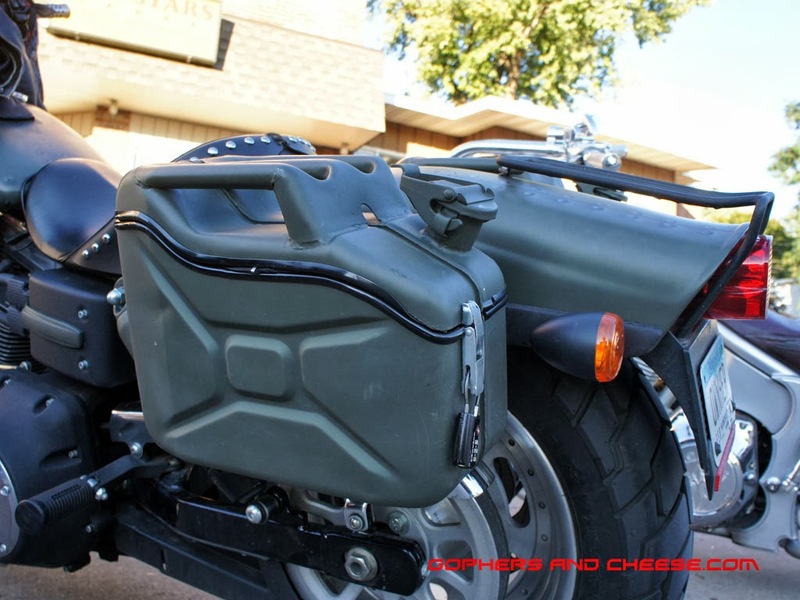 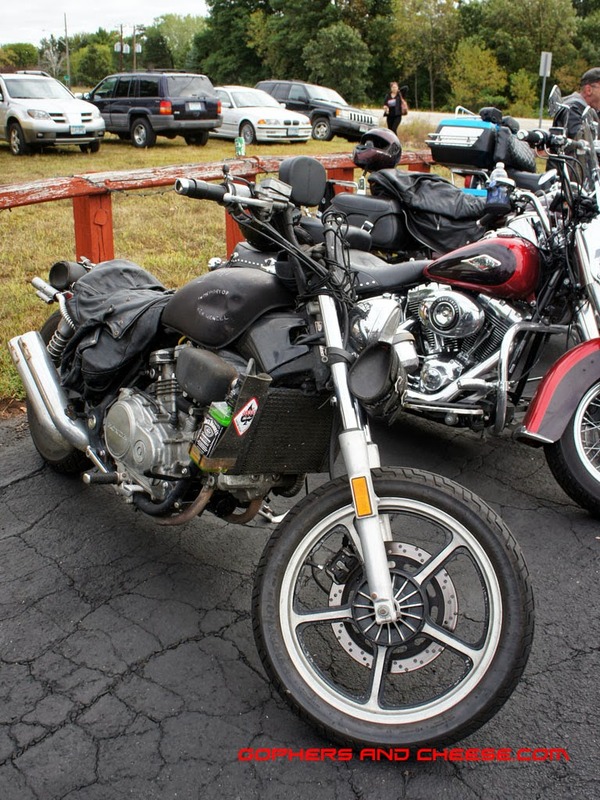 These appeared to be homemade saddlebags. 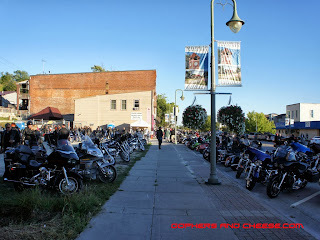 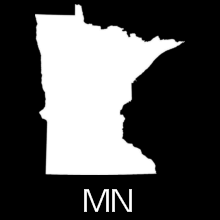 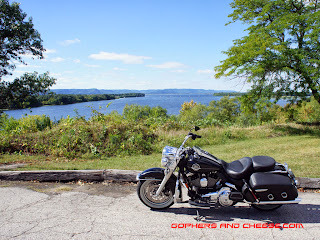 I crossed back into Minnesota at Prescott and rode through the cities to get home. 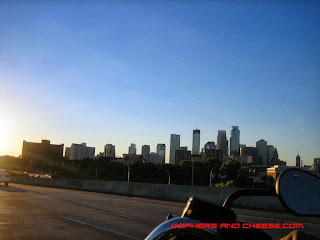 Here's Minneapolis as the sun was getting close to setting. 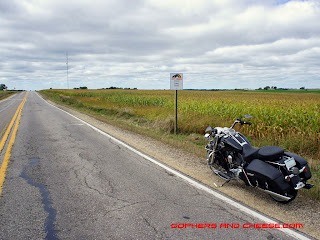 Like I said, start-to-finish was 435 miles over about 11 hours. I didn't stop at my normal Flood Run stops, I didn't eat & drink my usual Flood Run food & beverages, and I didn't do my typical Flood Run things but it was a lot of fun and a nice way to spend the day. At least I bought a Flood Run wristband. 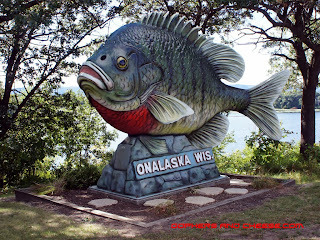 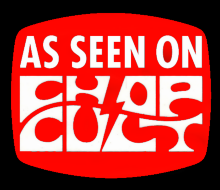 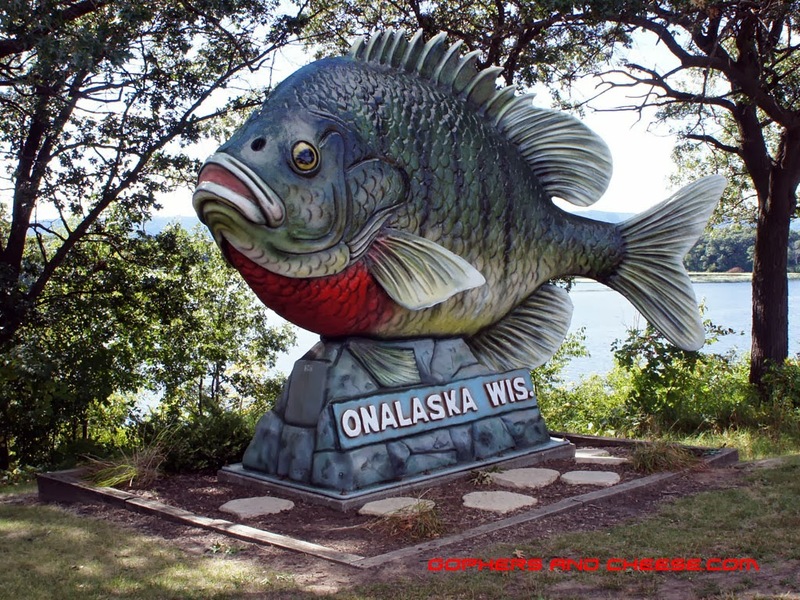 After returning to La Crosse, I followed WI-35N to a little town called Onalaska, WI. 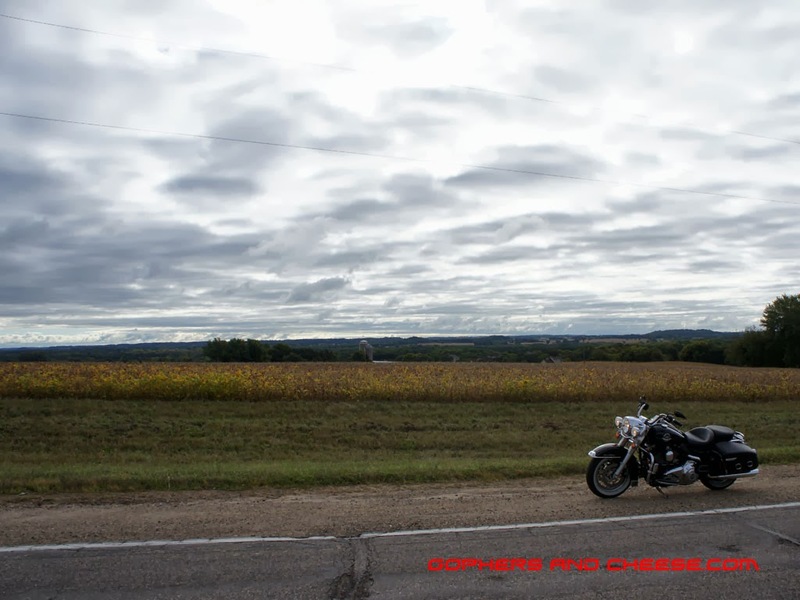 As you can see, the sun finally came out as I think I spent the morning chasing the clouds out of Minnesota and western Wisconsin. 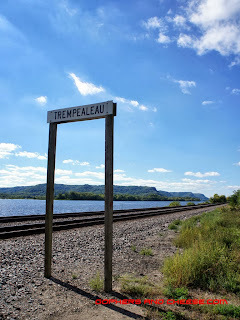 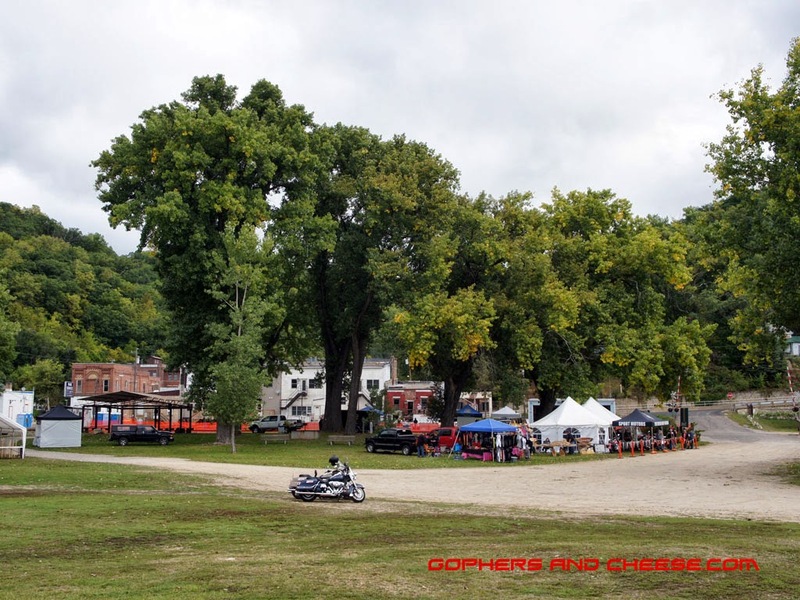 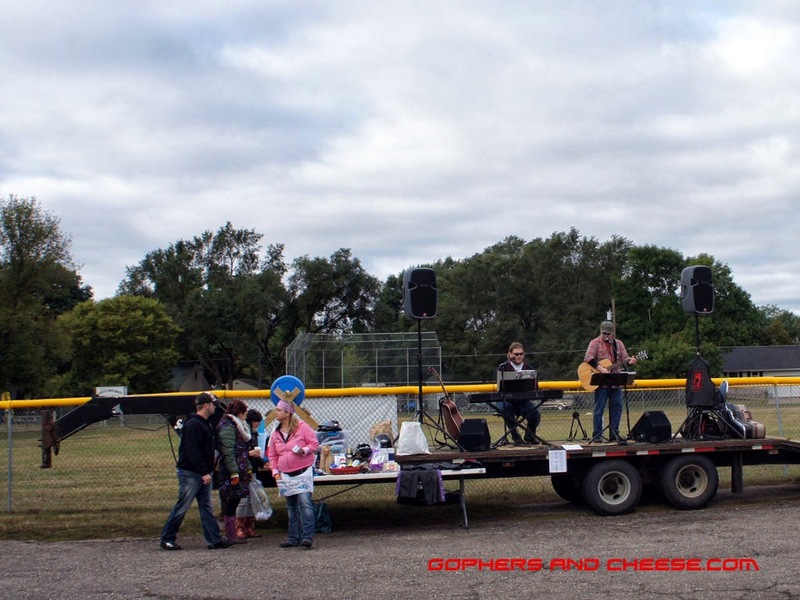 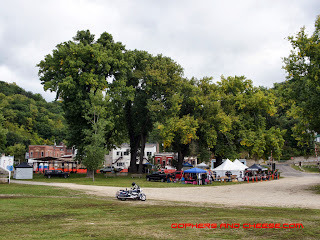 I continued on to Trempeleau, WI. 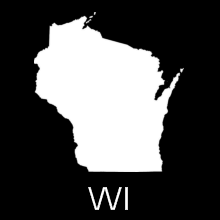 From there, I headed north on WI-93N towards Arcadia, WI and then took WI-95W to Fountain City. 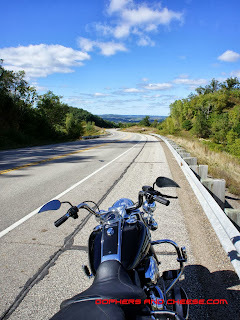 I had just ridden WI-95 for the first time earlier this month but WI-93 was new to me and it was full of great curves and amazing views. 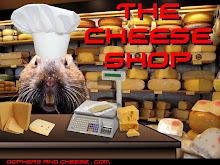 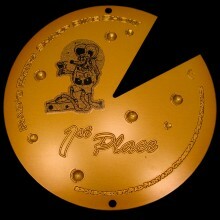 One more post to go and it's up next. 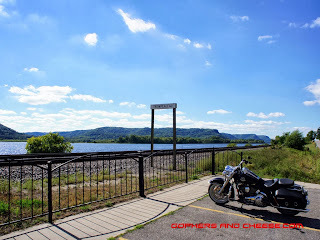 After warming up with that cappuccino I mentioned, I headed south toward Winona, which is typically the southern-most point on the Flood Run. 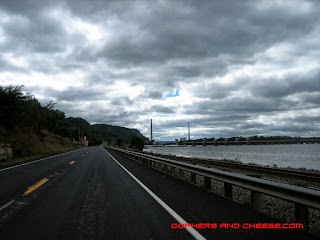 However, I decided to press on and continue down to La Crosse, which I had never been to before. 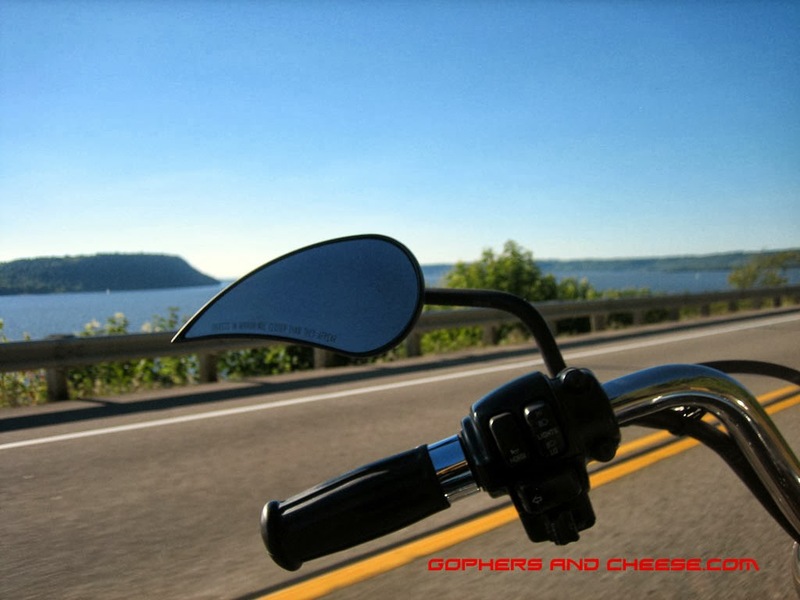 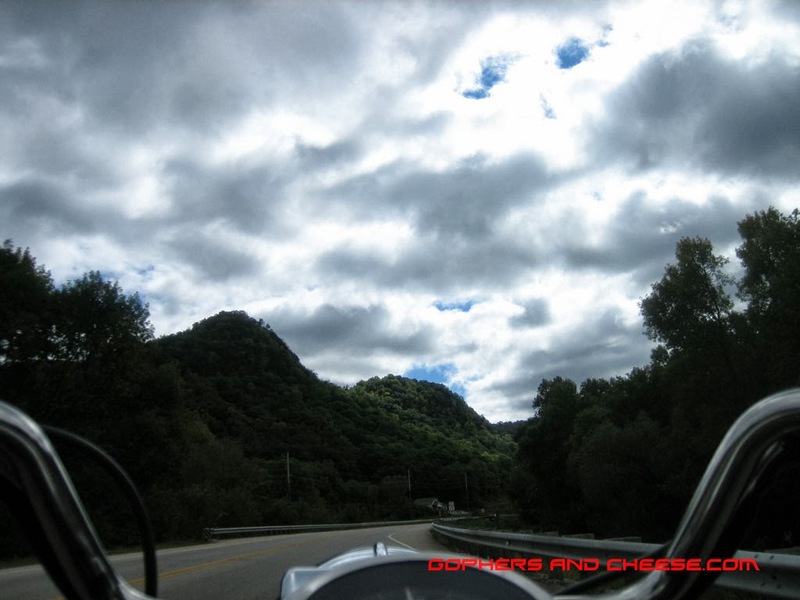 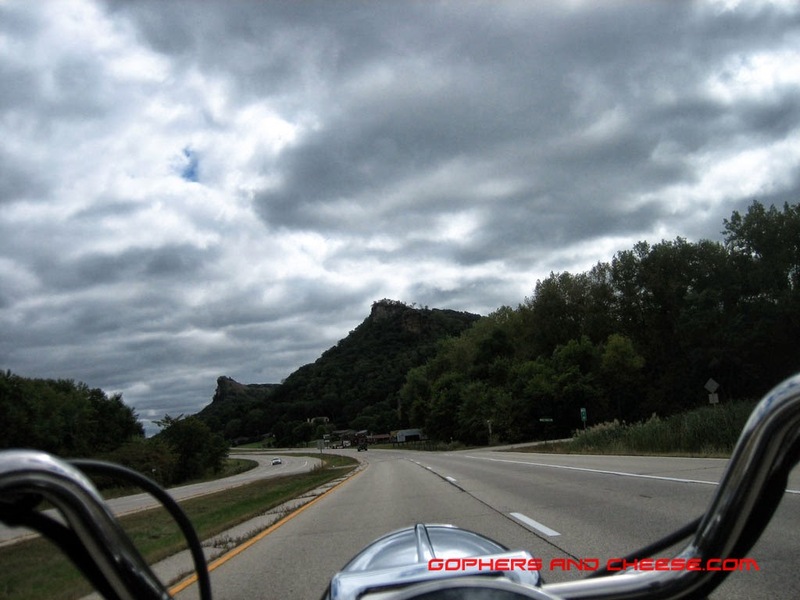 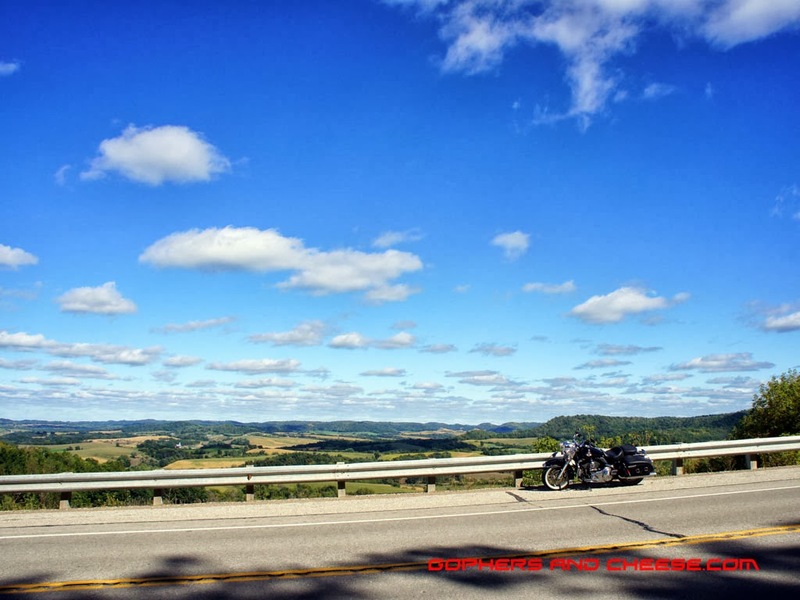 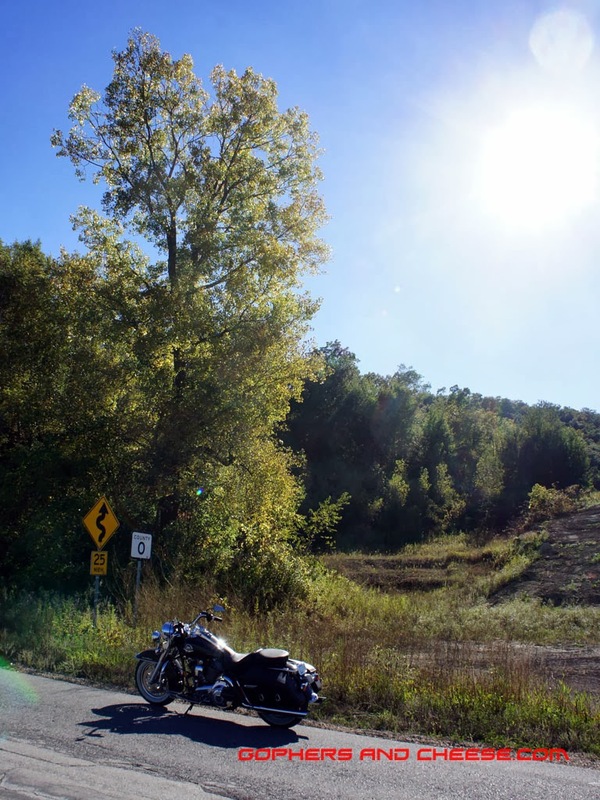 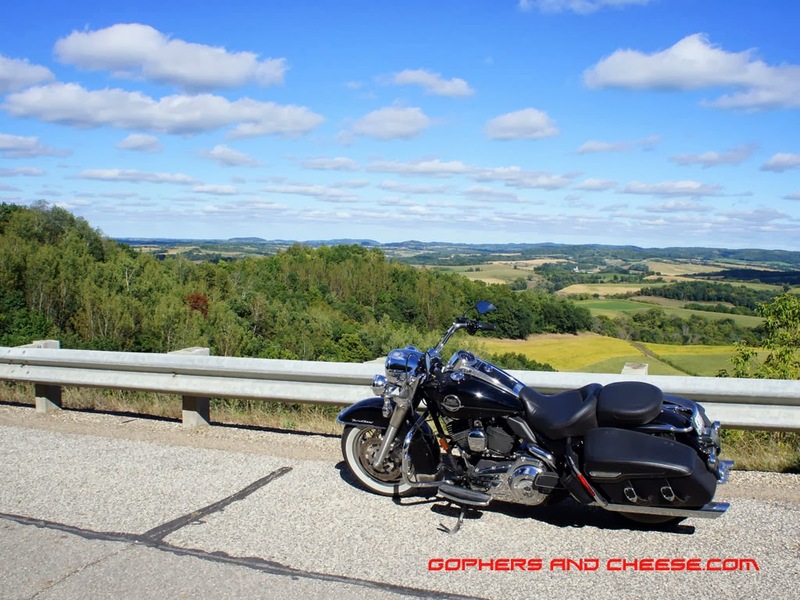 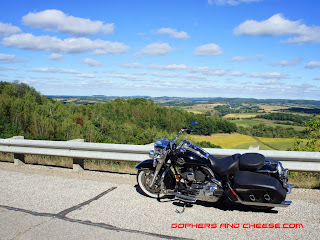 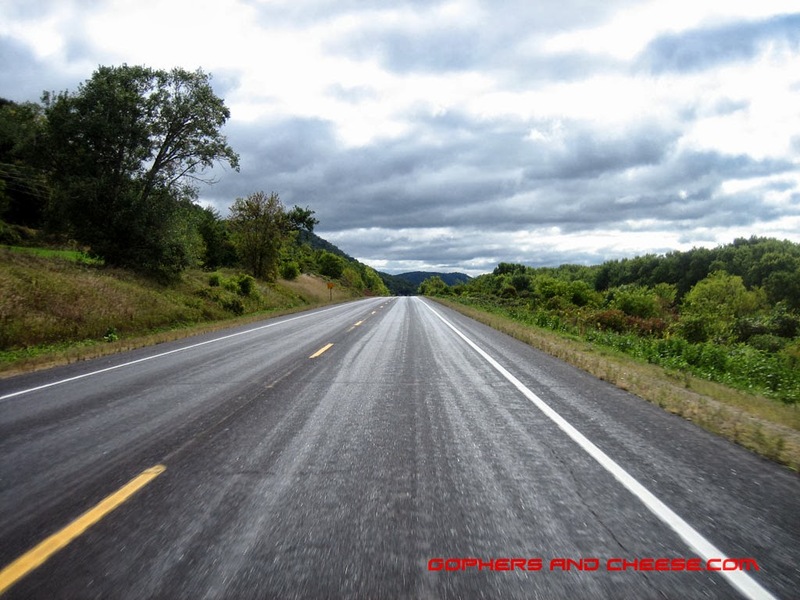 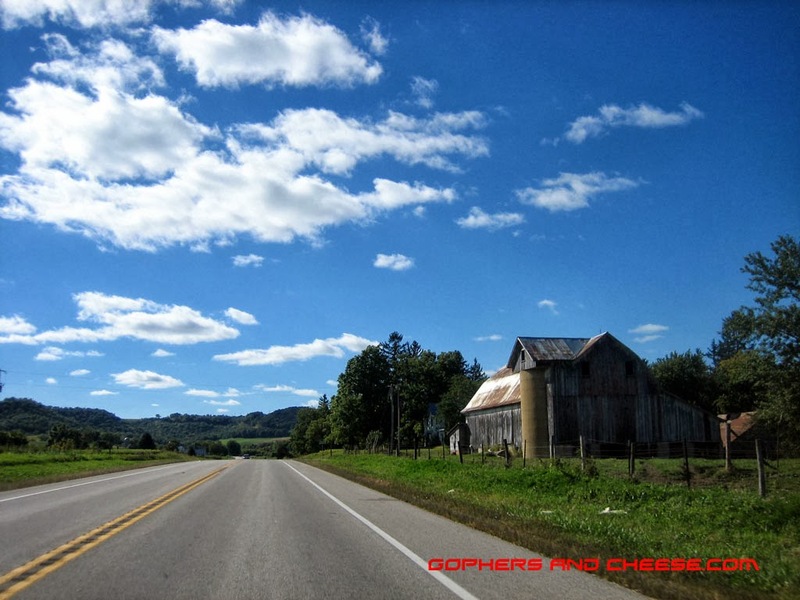 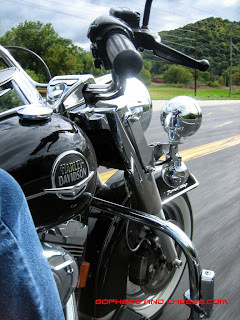 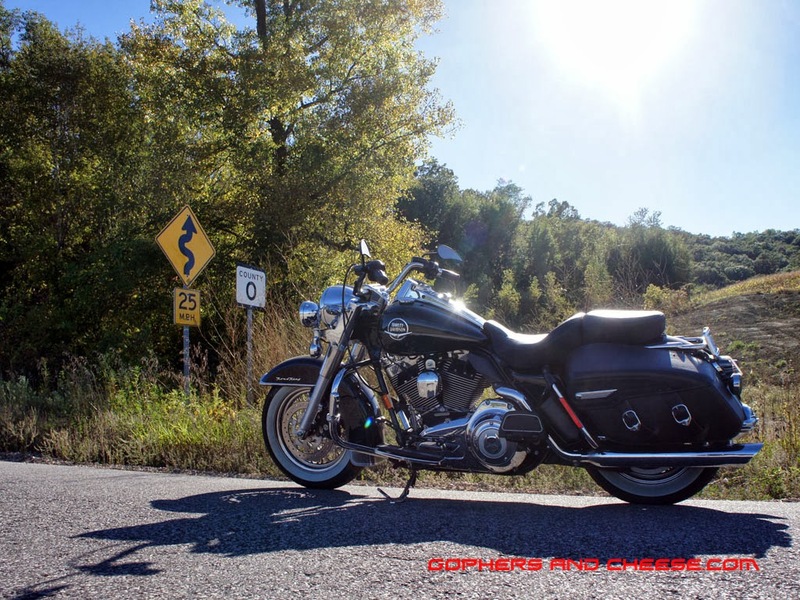 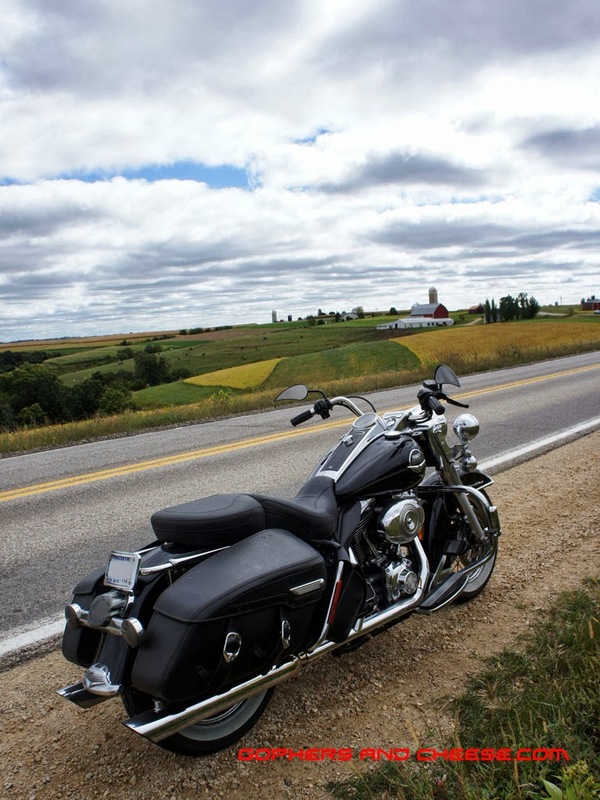 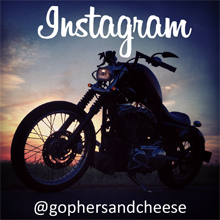 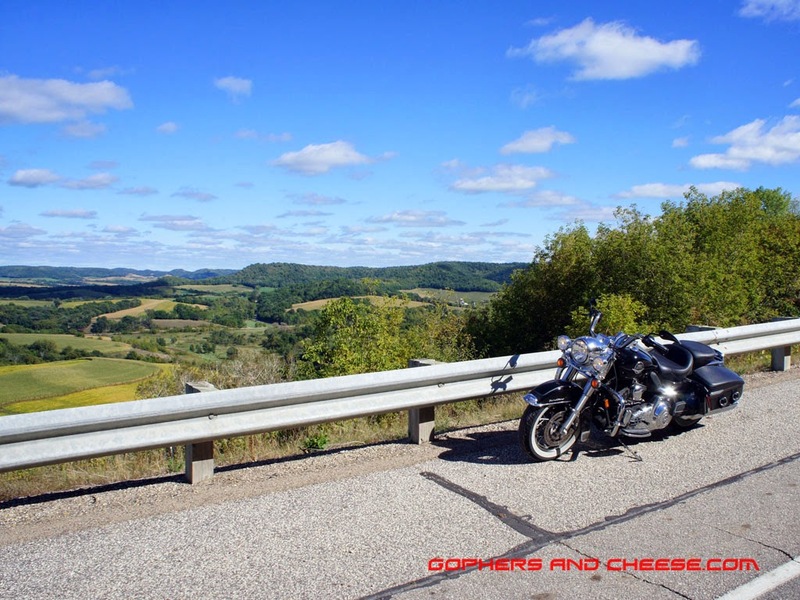 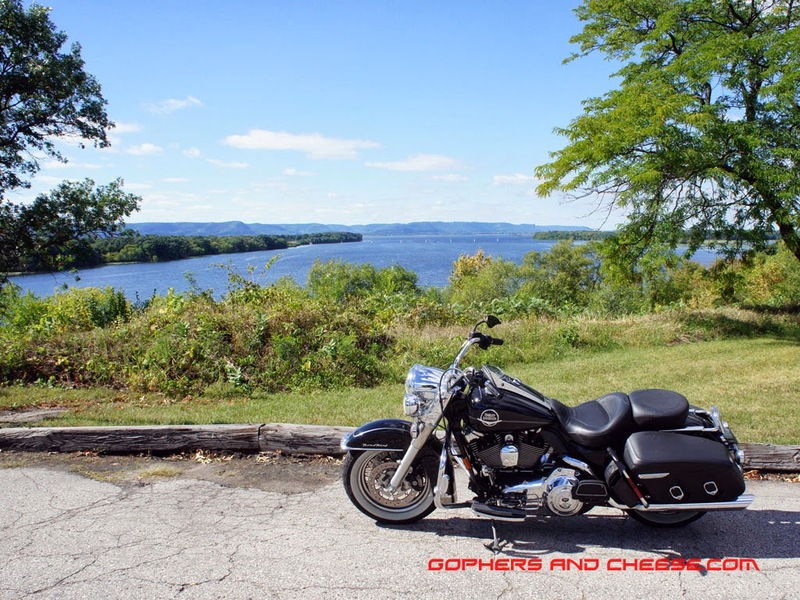 I have been reading about lots of good riding down near La Crosse and wanted to at least try one road. 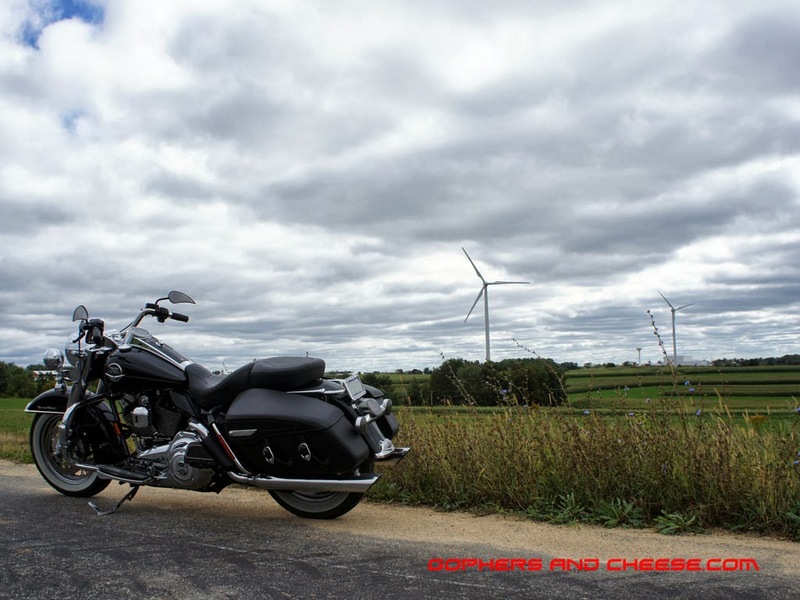 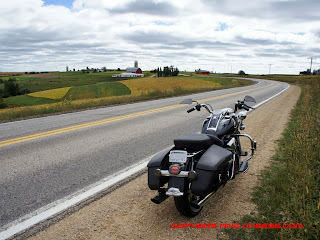 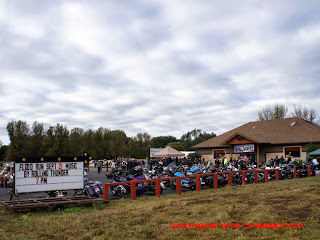 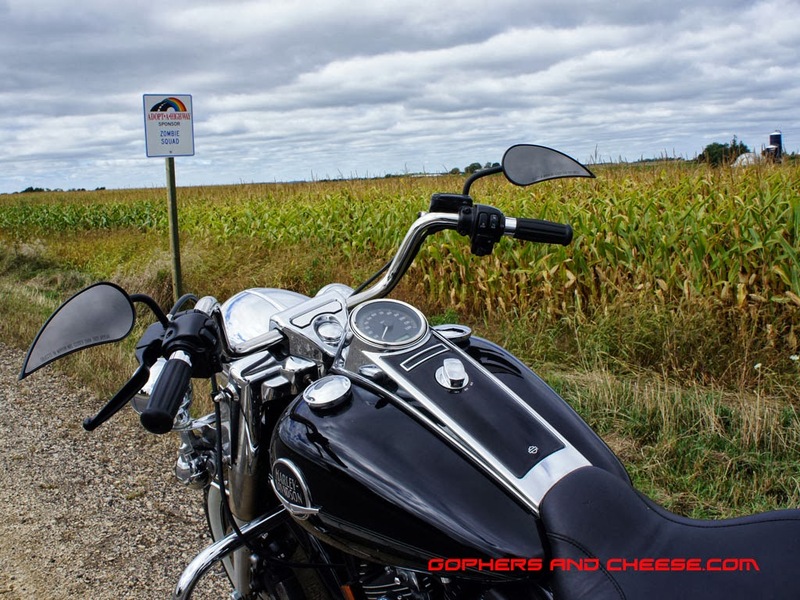 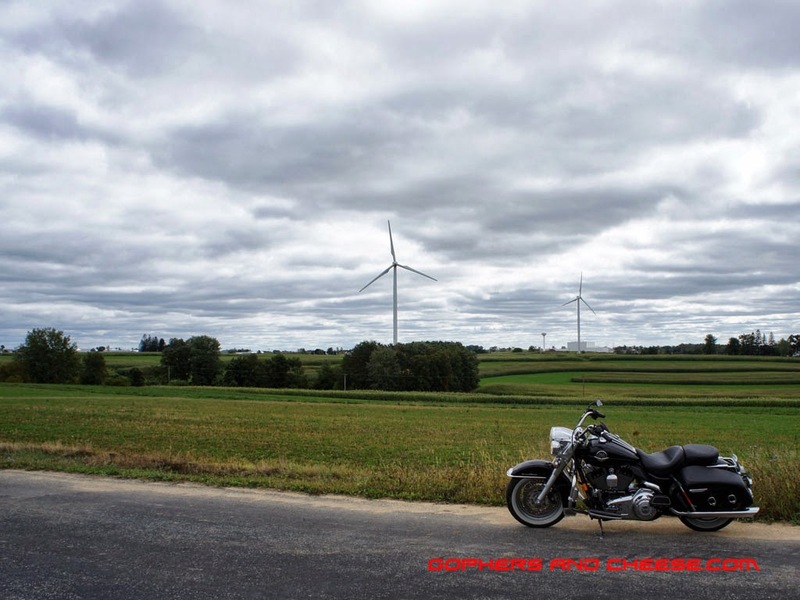 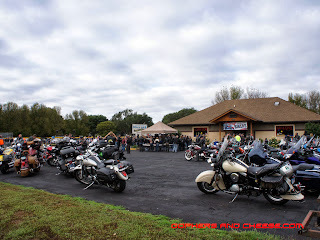 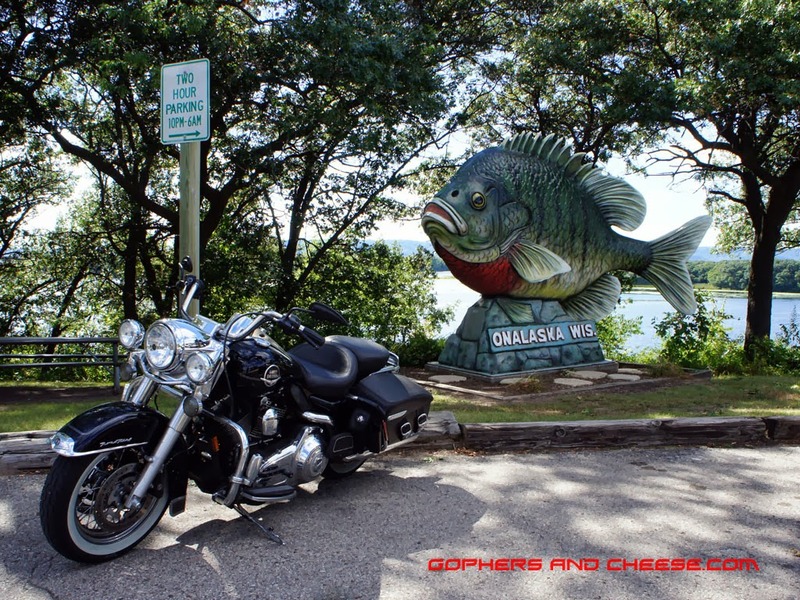 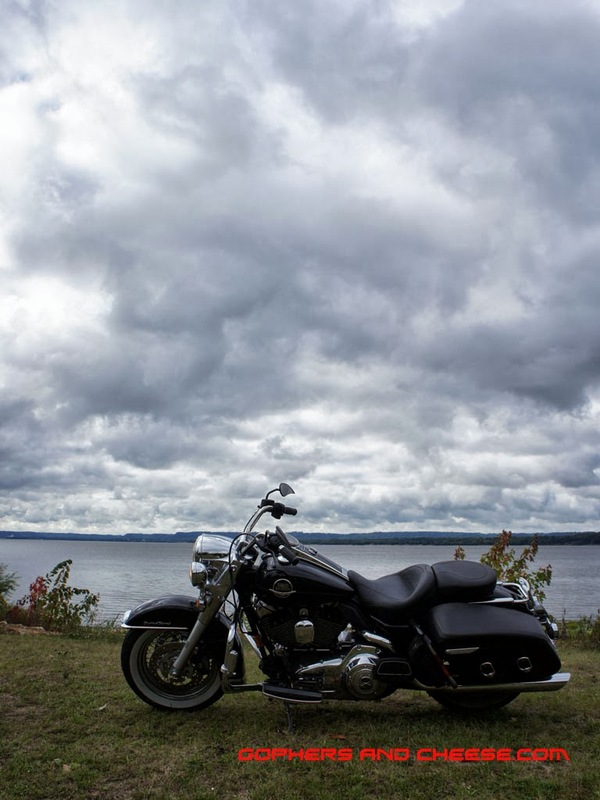 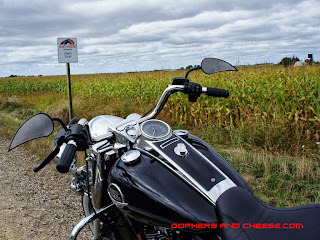 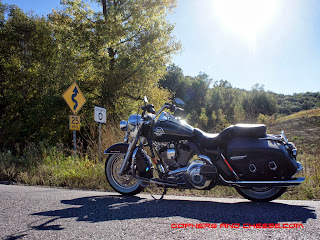 I chose State Hwy 33 E and rode it to Cashton, WI, the far point of my trip. It's a fun curvy road and it does continue quite a ways past Cashton so maybe I'll be back. Here are some wind turbines outside Cashton. 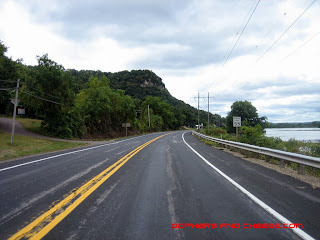 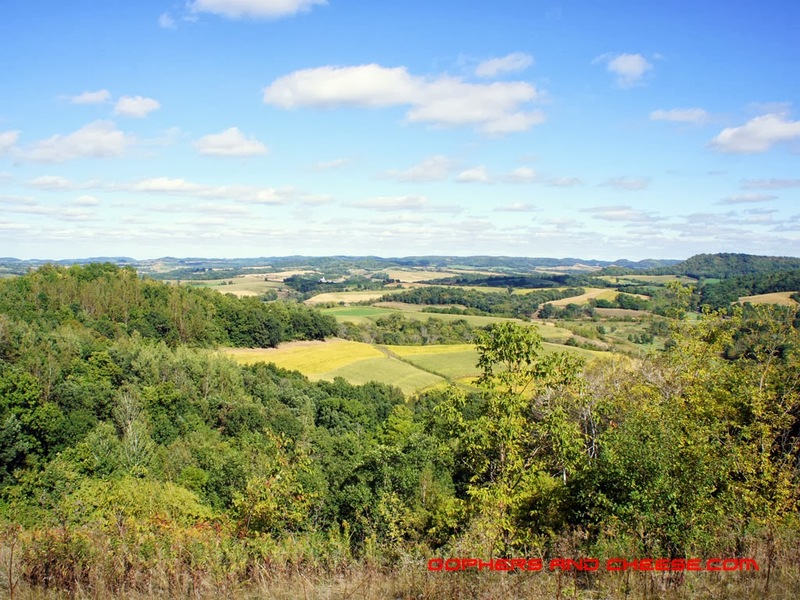 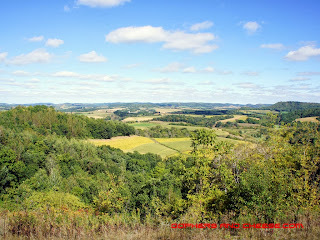 I turned around and made my way back to La Crosse but stopped a few times to snap photos along State Hwy 33. This cornfield was protected from zombie attacks by the Zombie Squad. 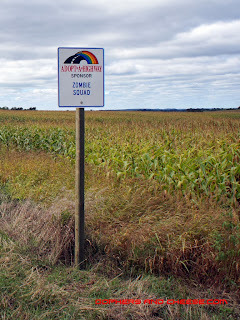 It has to be one of the best "Adopt-A-Highway" signs I've seen. 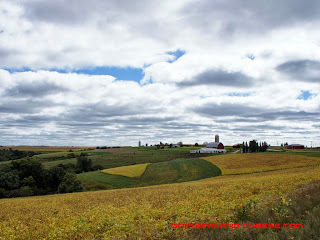 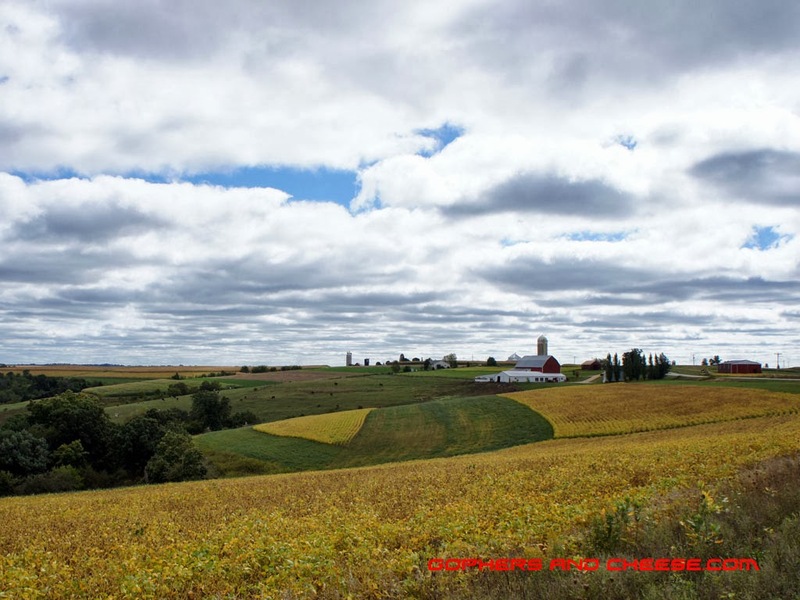 Some of the farms and landscapes along the road were stunning. 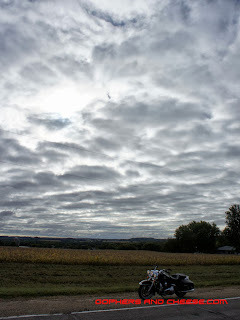 More photos to come and the sun finally comes out!